Provide comfort for the family of Harold Klein with a meaningful gesture of sympathy. Found peace December 17, 2018 at the age of 87. Preceded in death by his wife, Rosemary, parents, and 10 siblings. Loving father of Kathleen (Ernest) Brahn, Eileen (Carl Lashua) Blanchard, Cynthia (the late Daniel) Wetzel, Michael (Leah) Klein, David (Amy) Klein, and Julie Anne (Eric) Schneider. Proud grandfather of Brittany, Lauren, Timothy, Jacob, Jennifer, Mark, Little Leah, Noah, Isaiah, the late Ryan, Joshua, Zachary, Benjamin, Kyle, Joey, Riley, Melanie, Nicholas, Crystal, and Owen. Great-grandfather of Collin, Reese, Aiden, and Treyson. Fond brother of Audrey Horn, Elaine Huckstep, Mildred Sawatzki, and James Klein. Further survived by other relatives and friends. Harold was born in Milwaukee to Casper and Elsie Klein, one of 15 children. He loved his family dearly and was proud to be from a large family. Harold was a veteran of the Korean War. When he returned from the war, he married his sweetheart, Rosemary and they enjoyed 50 years of marriage. Harold enjoyed gardening, woodworking, and birdwatching, and loved to whistle. His family has many fond memories of camping in the bus. Special thanks to Kathy Hospice for their wonderful care of Harold in his final days. Visitation will be held Wednesday, December 19 from 6-9 PM at the funeral home with time for sharing at 7:30 PM. Mass of Christian Burial will be Thursday, December 20 at 10:30 AM at St. Bernadette Parish (8200 West Denver Avenue, Milwaukee). Interment Holy Cross Cemetery. In lieu of flowers, memorials to the Stars and Stripes Honor Flight (PO BOX 867, Menomonee Falls, WI 53052) are appreciated. 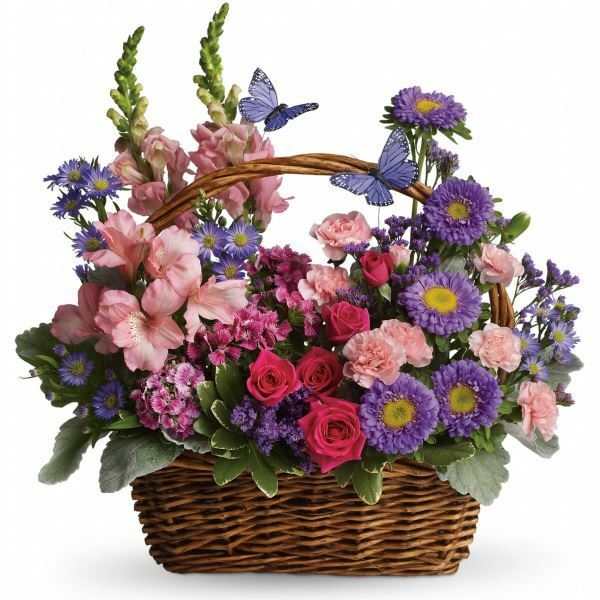 To send flowers in memory of Harold A. Klein, please visit our Heartfelt Sympathies Store. 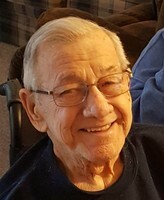 Donations are being accepted for: STARS AND STRIPES HONOR FLIGHT INC.
We encourage you to share your most beloved memories of Harold here, so that the family and other loved ones can always see it. You can upload cherished photographs, or share your favorite stories, and can even comment on those shared by others. Beve and Terry Farina, Ways and Wenstones sent flowers to the family of Harold A. Klein. Anytime I spoke of Uncle Harold it automatically brought a big smile on my face. A very warm, funny, loving soul of a man, husband, father, friend to my Dad and our family. Whistle while you work, yes, he did at the YMCA…he was called The Whistler. He is with Jesus, my favorite Aunt Rosemary, my Dad, his service partners, and his family and friends that have prepared for his homecoming…no house cleaning required. Beve and Terry Farina, Ways and Wenstones purchased flowers for the family of Harold Klein.